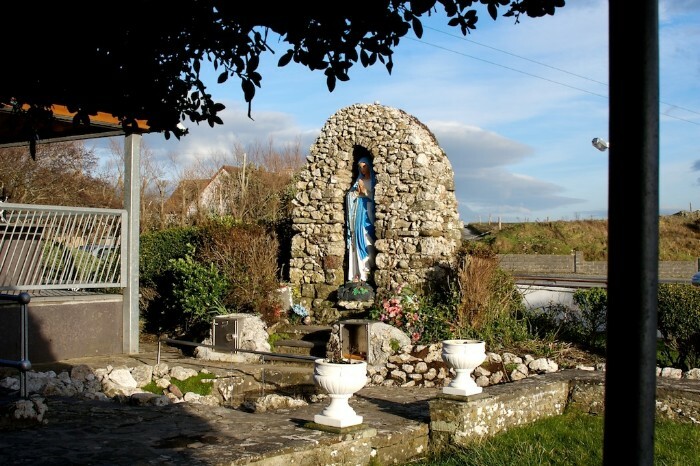 It is said that masses were held at this location during the penal times, when Catholics were forbidden to celebrate their fate openly and long before any road passed up adjacent to the site of the Well today. 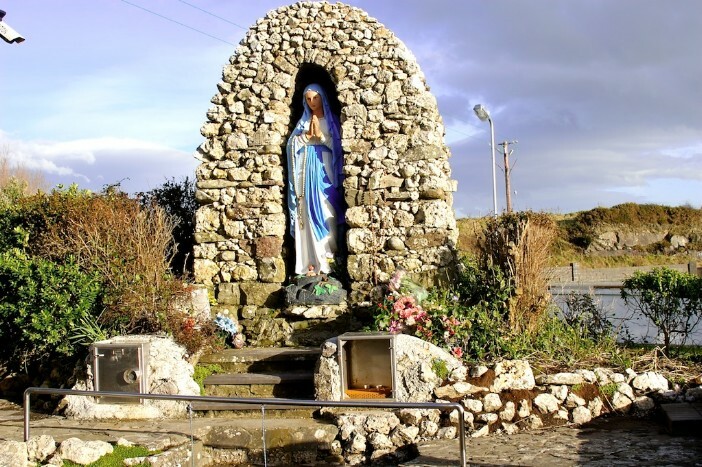 The Pattern Day in Ballyheigue is celebrated here every year on September 8th, The Feast of Our Lady. An event which usually sees the largest crowds gather from far and wide, and a great day to meet with many people that may only frequent the local bars on a rare occasion. This day hosts a plethora of stalls selling all types of goods. 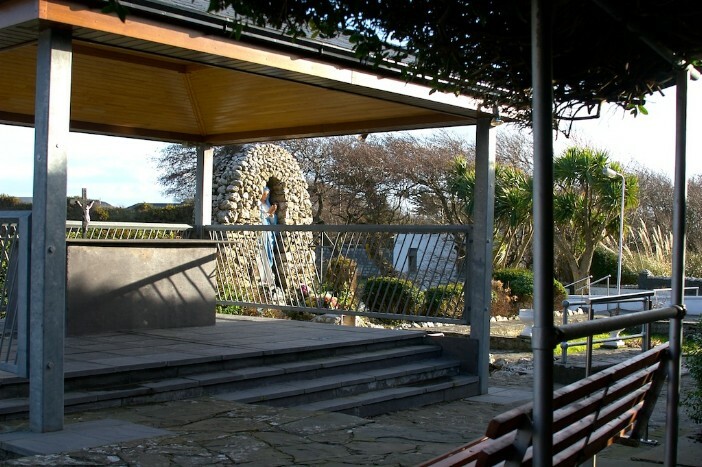 The Slate used for the altar piece is Valentia Slate from that famous South Kerry Island, Valentia. There is a legend of there being a Trout in the water and buried treasure nearby.